This is the amazing one of wooden chess piece. Those are 150 rooks that made of Teak wood and furnished well. Rook piece is one of important part in chess game. The Rook chess piece, also known as the Castle, is usually a charger rather than a defender in the game of chess. Because of its unique, many people have fanatism to this chess piece. They usually collect rook in some different forms and colors. There are classic rook, modern rook, and decorative rook. 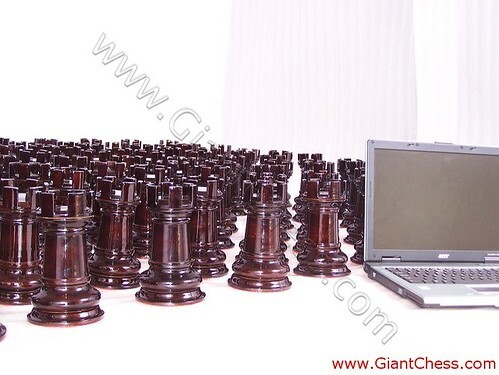 But the most famous and worthly of chess pieces is wooden rook that has made of Teak wood. Not only for chess game. You may buy rook piece for your room decoration or you arrange those are in your living room table. it will look so nice for your guest. Get the nice price from us and you may add your home decoration with some art touch by put this chess piece one.